Has water been entering your home through a roof leak? If a roof leak is not addressed in a timely manner, more problems down the road could potentially occur. If you find yourself dealing with water intruding your home give SERVPRO of Sugar Land a call. Our team is available 24 hours a day, 7 days a week to respond to your disaster. When mold affects your company, do you know who to call? SERVPRO of Sugar Land was reached out by this company to help throw away all items that were affected by the mold in the office building. Have Mold? 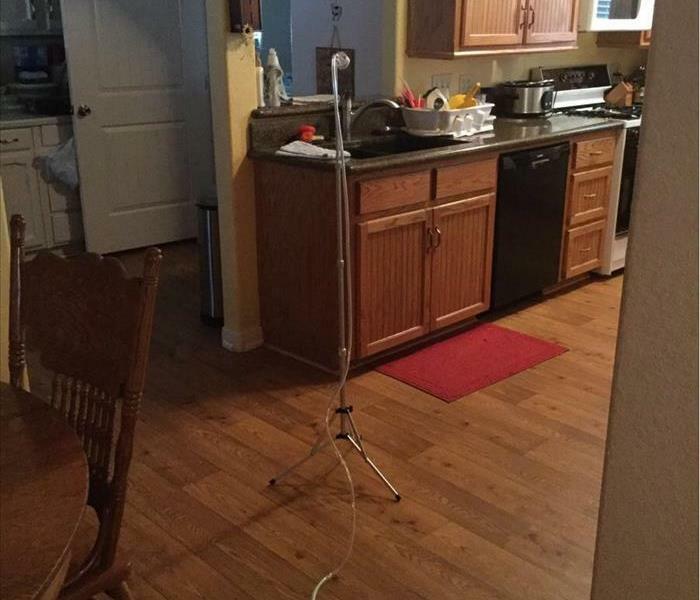 No problem, give the experts at SERVPRO of Sugar Land a call (281) 313-1338. SERVPRO of Sugar Land is Dedicated to Help! SERVPRO of Sugar Land, taking a moment and putting together a small video to let customers know more information about what we do! SERVPRO of Sugar Land is always here to help! 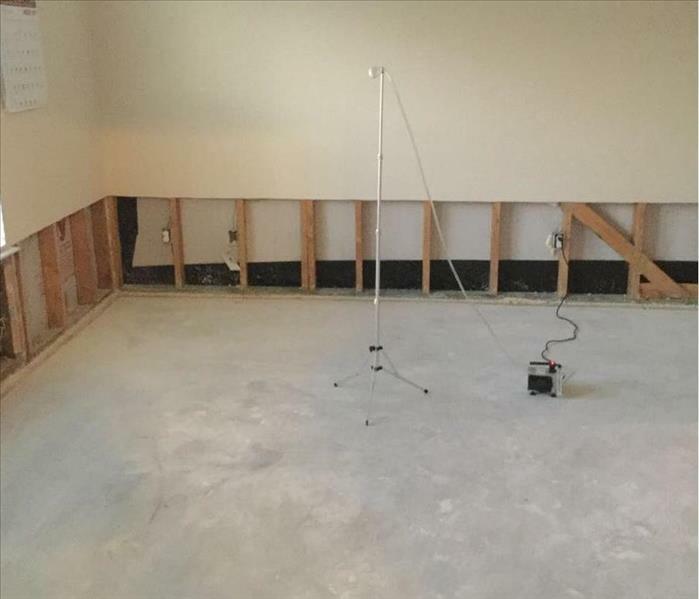 When a pipe ruptures in between the kitchen and living room wall, SERVPRO of Sugar Land has the team and equipment to take care of your home. Often, many water leaks start out small and sometimes even go unnoticed. Being unaware of these small damages can lead to major damages in your home. If there is a funny odor smell or spot something that is possibly mold, give the experts a call here at SERVPRO of Sugar Land! SERVPRO of Sugar Land is Always Here to Help! Give SERVPRO of Sugar Land a call when water intrudes your home. Our goal is to help minimize the interruption to your life and quickly make it "Like it never even happened." No job is too big or to small for SERVPRO of Sugar Land. Whether disaster strikes in your home or business, our team is always here to help! Give us a call at (281) 313-1338 if disaster strikes! 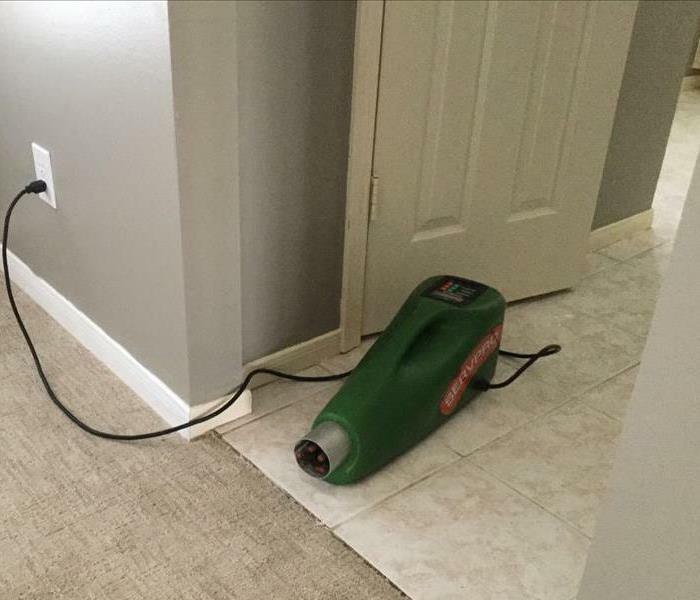 No job is too big for SERVPRO of Land. 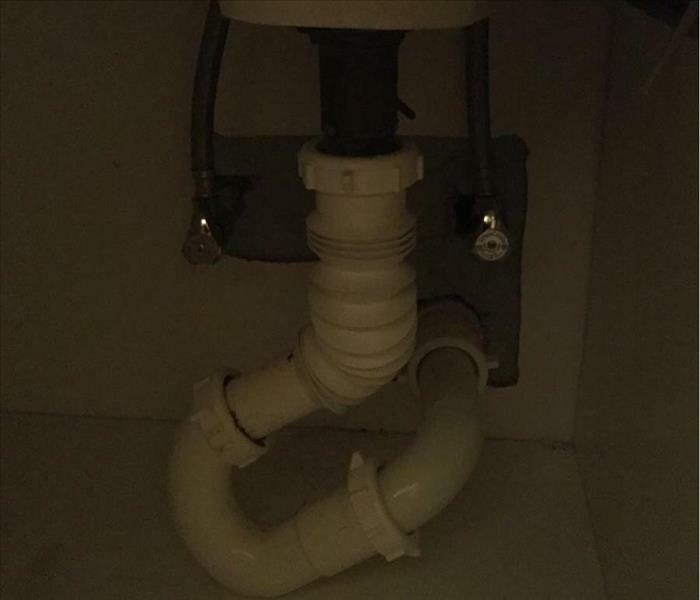 The toilet supply line was the cause of this water damage at a local business. Our crew work after hours to accommodate this company business hour. 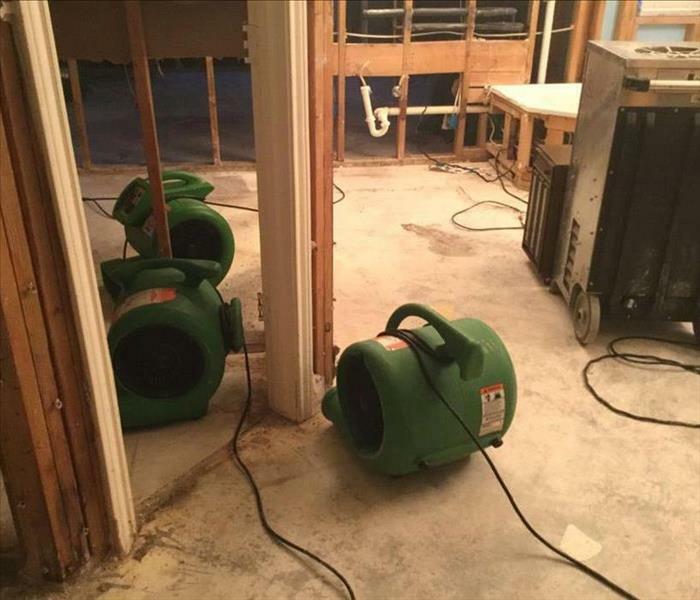 SERVPRO of Sugar Land understands the stress and worry that comes with water damage and the disruption it causes to a business. We are dedicated to making it "Like it never even happened." 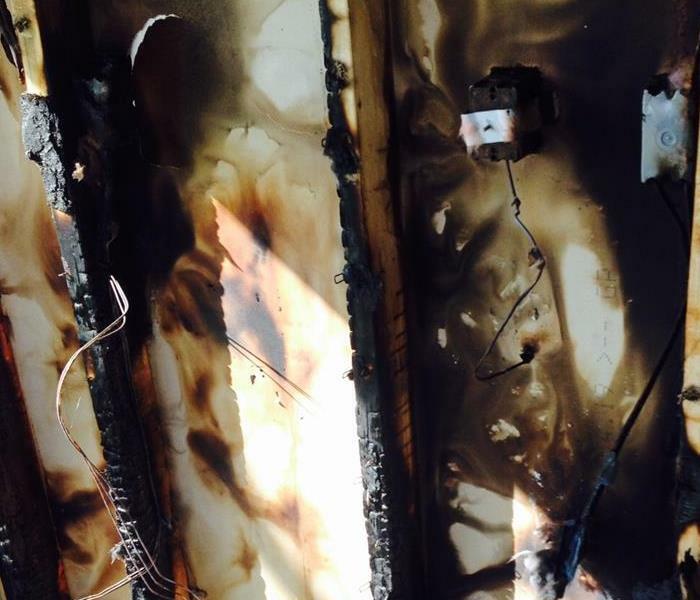 This homeowner suffered from an electrical fire and this was the aftermath when SERVPRO of Sugar land arrived at the home. We understand the stress that comes with fire damage. Give our team a call if you experience any type of fire damage! SERVPRO of Sugar Land was called out by this Sugar Land home owner about mold behind their cabinets. Our team responds to mold calls at any time! 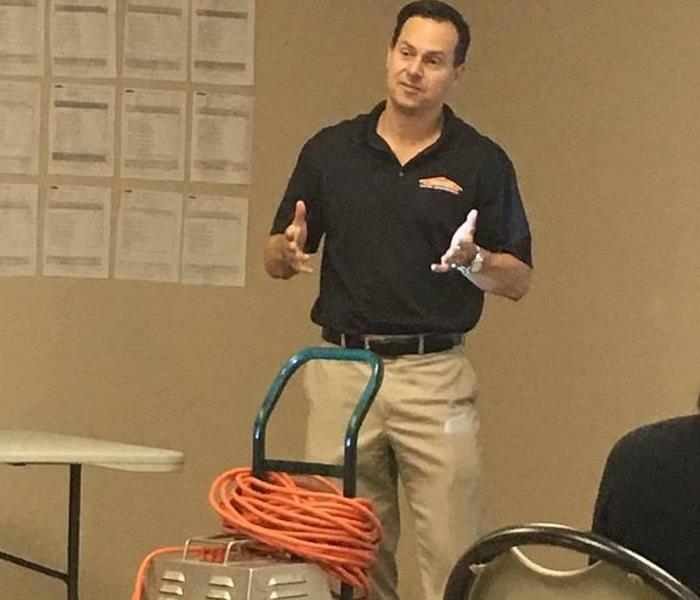 If you have any questions on mold remediation, feel free to contact our SERVPRO of Sugar Land team at (281) 313-1338. One of the issues while dealing with fire damage is the result of smoke odors. SERVPRO of Sugar Land has the proper equipment to remove any lingering odor. 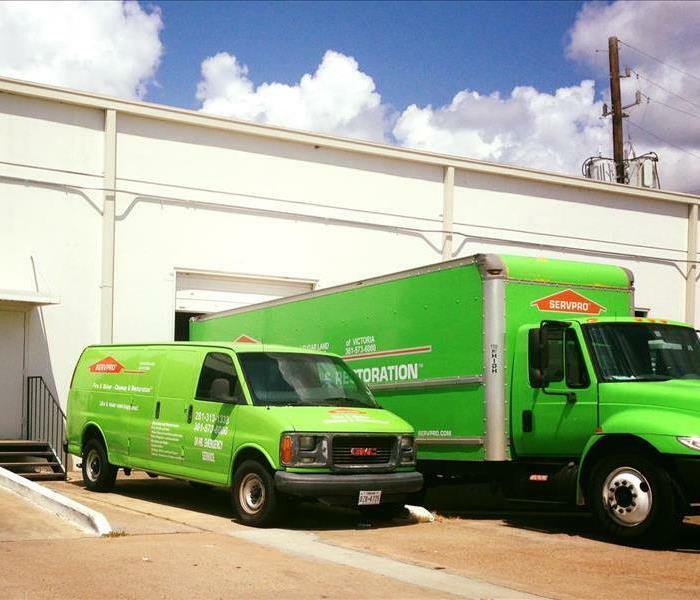 Do not hesitate to call SERVPRO of Sugar Land to learn more about odor removal! 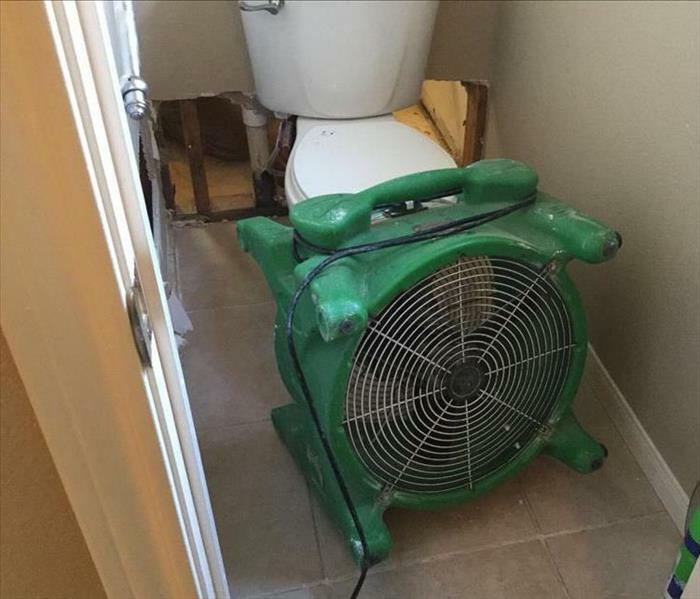 A toilet overflow caused water damage for this company. 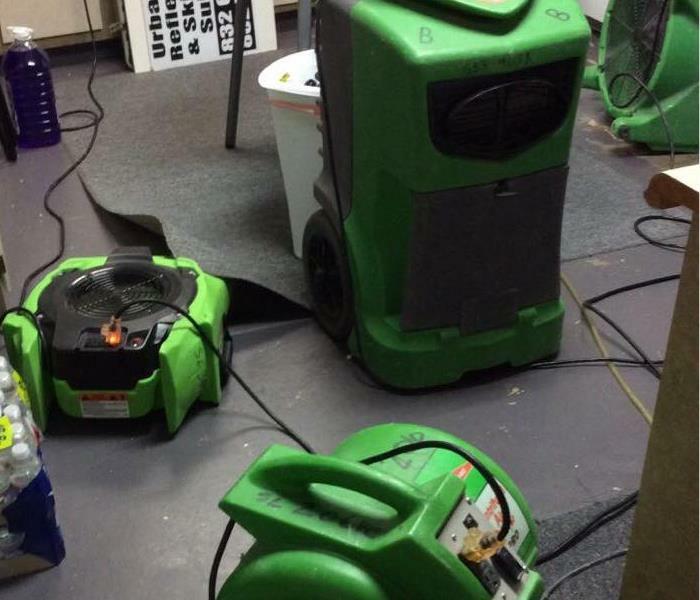 SERVPRO of Sugar Land was called out to and took care of the damage so they could get back to work. 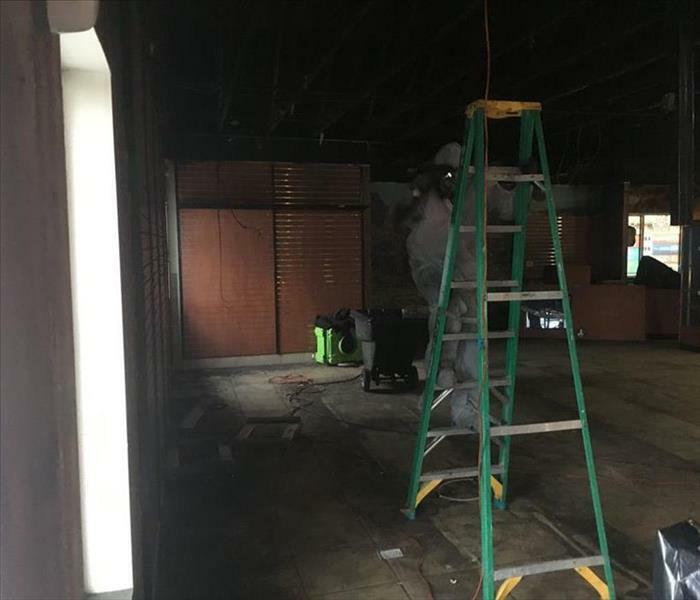 If water damage strikes your business, give SERVPRO of Sugar Land a call! 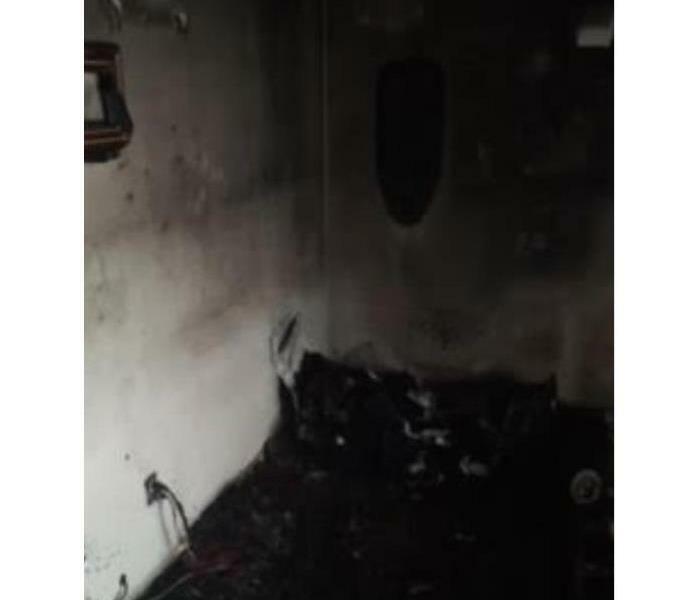 This homeowner suffered from an electrical fire and this was the aftermath when SERVPRO of Sugar Land arrived to the home. We understand the stress that comes with fire damage. Give our team a call if you experience any type of fire damage! Hidden and undetected leaks often lead to extensive water damage and mold. Our technicians at SERVPRO of Sugar Land are trained to find those hard to find leaks. 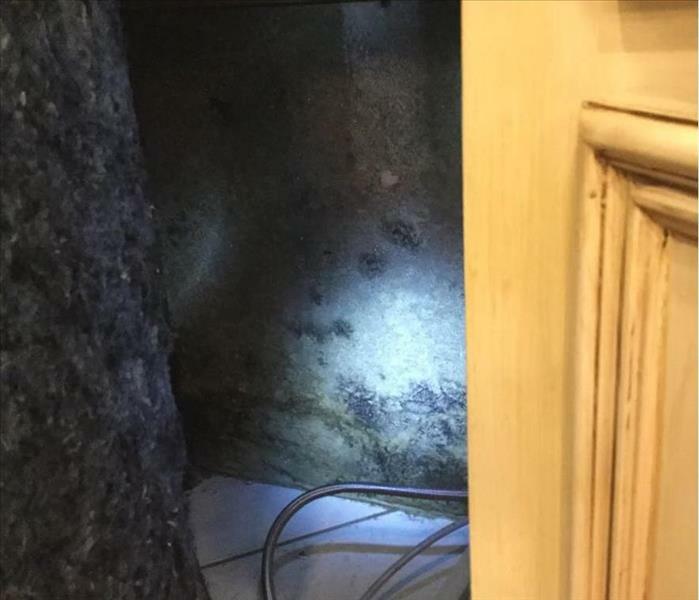 If you suspect any mold in your home give us a call at (281) 313-1338! 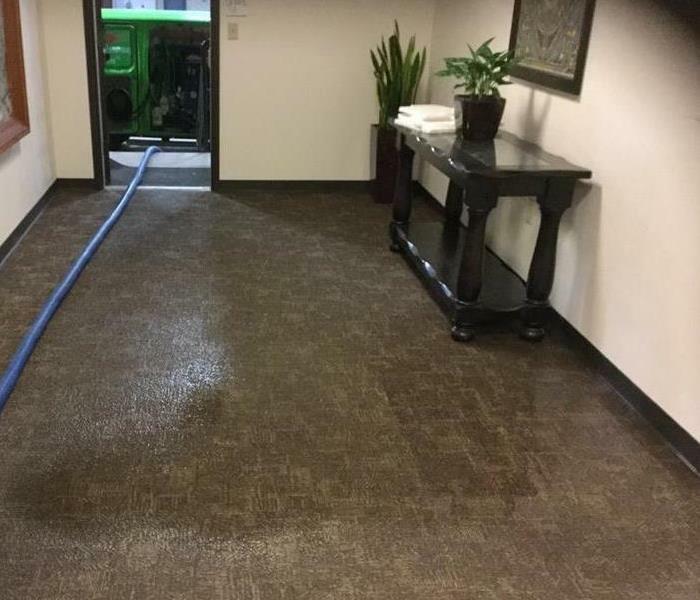 When an office building in Sugar Land experienced a flood after a toilet overflow, they called SERVPRO of Sugar Land. 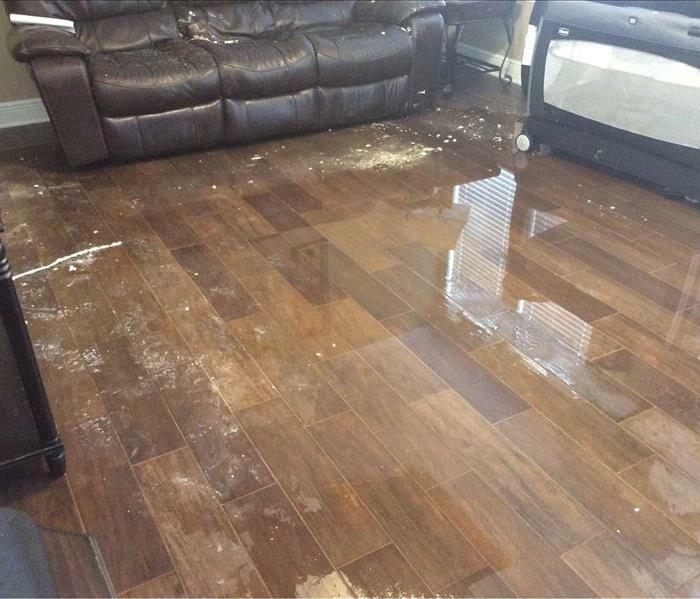 Our team understands dealing with water damage is a highly stressful. Our highly trained technicians are equipped with the knowledge to restore your property. Disasters are never planned. This customer reached out to SERVPRO of Sugar Land after a fire damage. Our team arrived on the site and our team accessed the damage. Our team is here to help! SERVPRO of Sugar Land is here to help when disaster strikes! This photo was taken after Hurricane Harvey struck this residents home. Our team is here to help especially when natural disaster strikes making sure "Like it never even happened." Our team works around the clock 365 days, 24 hours, 7 days a week. On Christmas day, fire struck a home and our team responded immediately. We are always here to help no matter how big or small the damage is. Give SERVPRO of Sugar Land a call if you experience any type of fire damage in your home (281) 313-1338. This customer called SERVPRO of Sugar Land after mold growth from a previous water damage. Don't wait until matters get worst. Give SERVPRO of Sugar Land if you or anyone you know experiences any type of mold growth. We are here to help! Disasters are never planned, especially during the holiday season. If you experience fire damage in your home or business, give SERVPRO of Sugar Land a call. Our team will arrive quickly on site and will restore your home. We make disasters "Like it never even happened." 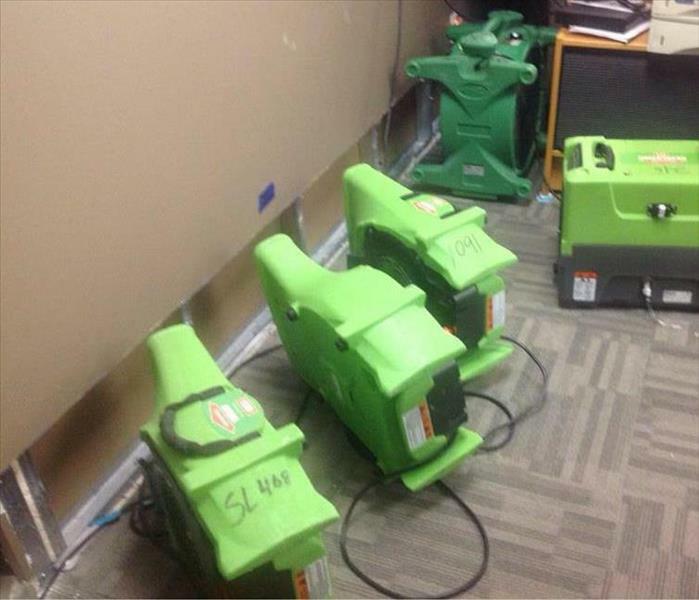 SERVPRO of Sugar Land received a call when disaster struck a business. Our team arrived on site and quickly. The technicians went straight to work and installed the necessary drying equipment for a proper dry out process. If your business experiences any kind of water damage, you know who to call! Give SERVPRO of Sugar Land a call (281) 313-1338! Making sure "Like it never even happened." 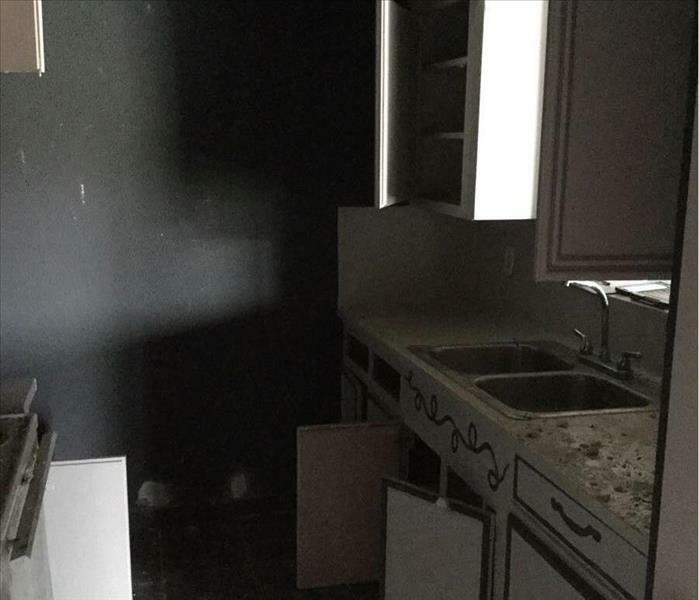 In the aftermath of Hurricane Harvey, our Disaster Recovery Team helped this customer put the pieces of their home back together. SERVPRO of Sugar Land is here to help when disaster strikes! 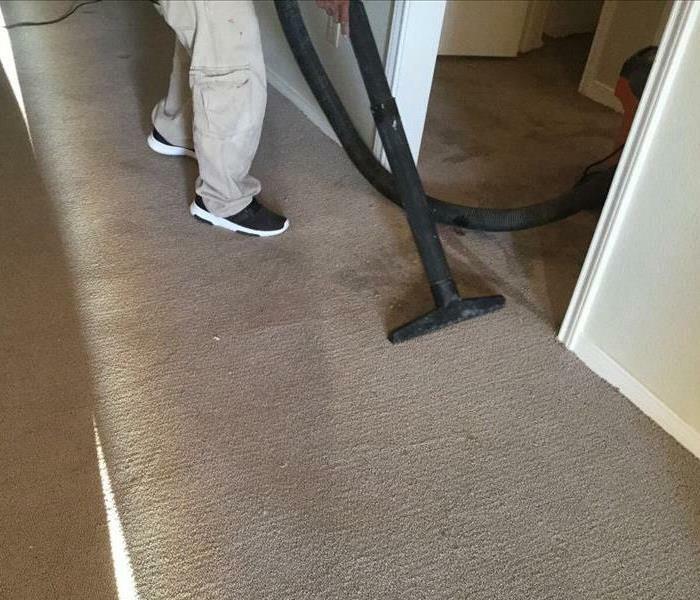 No job is too big for SERVPRO of Sugar Land. Our highly trained technicians heads to a commercial job out in Houston, Texas. 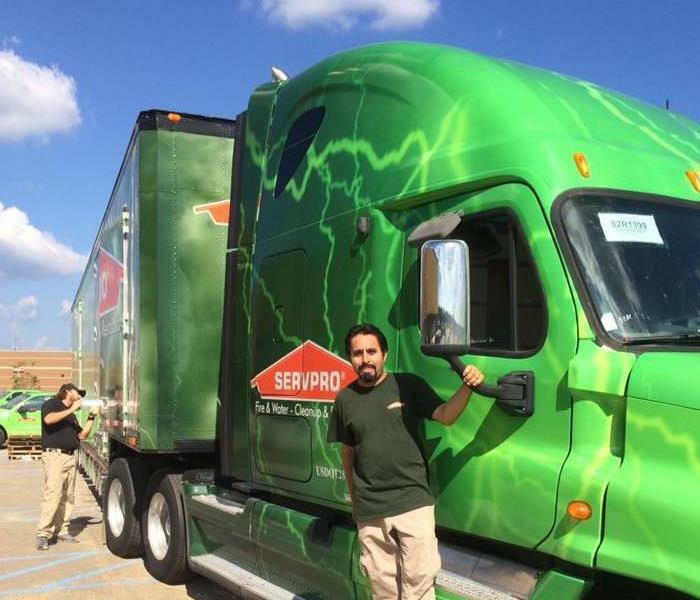 SERVPRO of Sugar Land is here to help when disaster strikes. We make disasters "Like it never even happened." SERVPRO of Sugar Land was reached out about a commercial fire job. Our crew was able to help clean up the damage and help the company resume back to operations again. If your business suffers from fire damage, call SERVPRO of Sugar Land (281) 313-1338. Our team is here to help when disaster strikes! 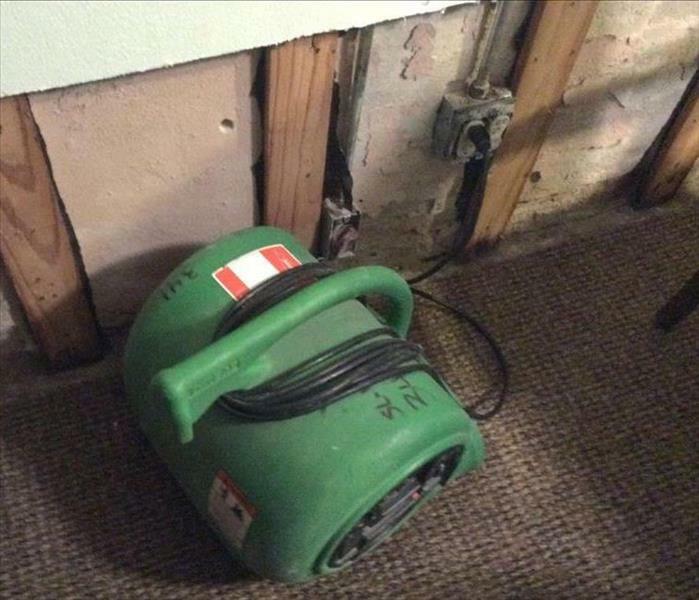 Are you experiencing water damage? Give the professionals a call at SERVPRO of Sugar Land (281) 313-1338. Our technicians are highly trained and certified. We are always here to help make sure "Like it never even happened." 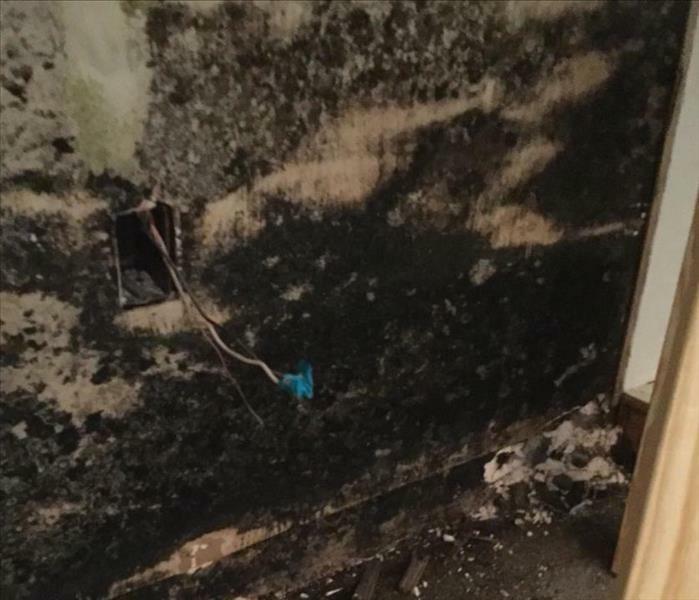 After a water leak, a Sugar Land, Texas resident called SERVPRO of Sugar Land concerning the possibilities of mold growth inside their home. If you have mold concerns in your home or business, call SERVPRO of Sugar Land (281) 313-1338 and our highly trained technicians will come out to your home and test fro any signs of mold. Are you experiencing mold problems in your home? SERVPRO of Sugar Land has the training, equipment, and expertise to remediate your mold infestation. When disaster strikes SERVPRO of Sugar Land is here to help! 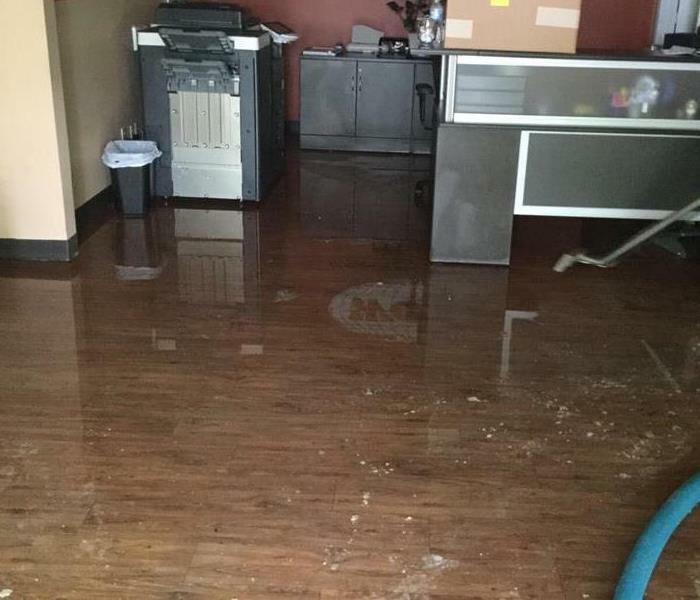 A company out in Sugar Land called SERVPRO of Sugar Land after discovering standing water in the building. 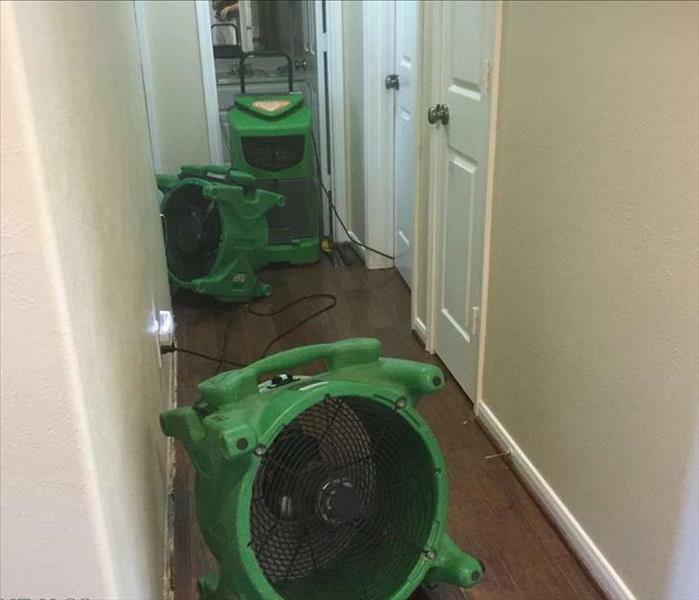 Our highly trained technicians quickly arrived to the property and start the dry out process. 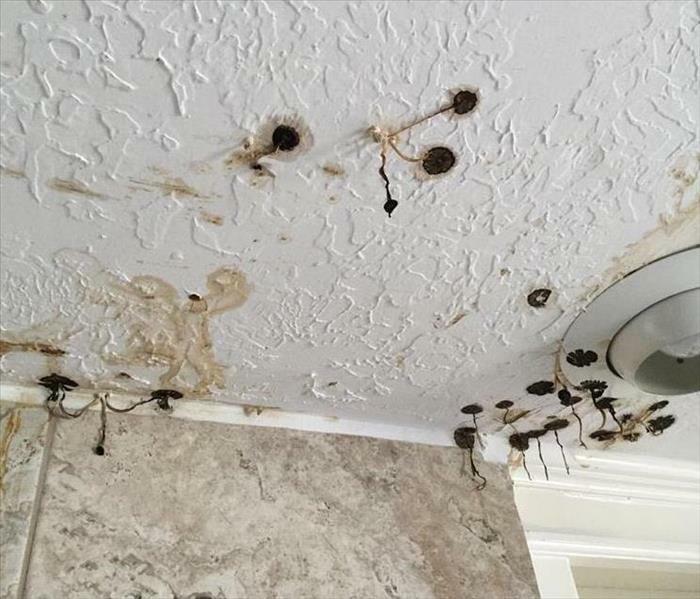 A customer experienced mold in their home from a roof leak. SERVPRO of Sugar Land was called and our certified technicians came out and conducted our mold remediation process. “Like it never even happened”. In recent events, the aftermath of Hurricane Harvey hit the Houston area hard. 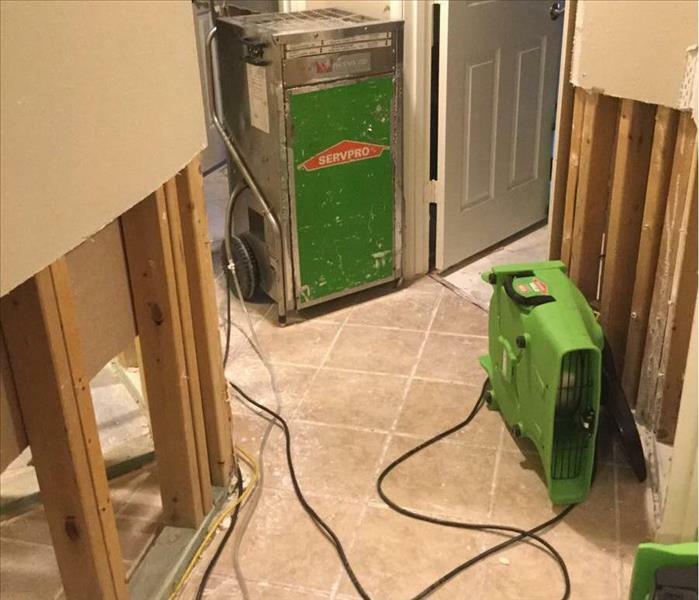 SERVPRO of Sugar Land went out to a customers house after storm damage had occurred and helped dry out the studs. A Sugar Land resident reached out to SERVPRO of Sugar Land about a water heater leak in their home. 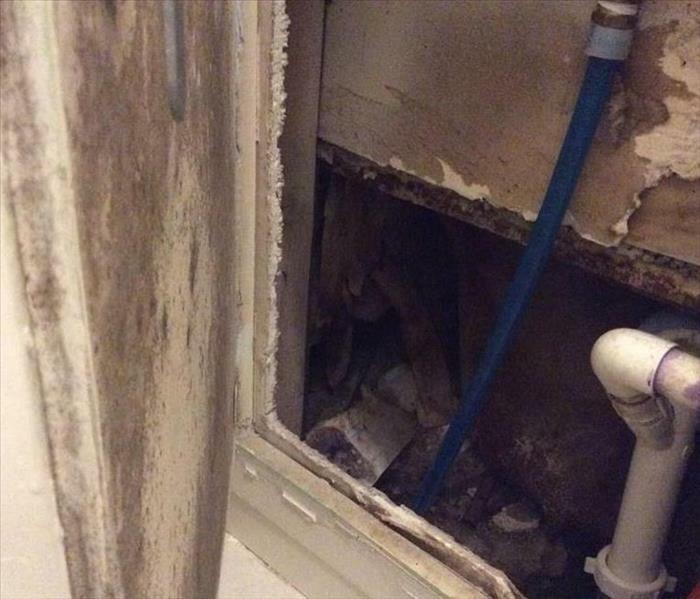 The leak caused some water damage in a couple of rooms in this customer's house. 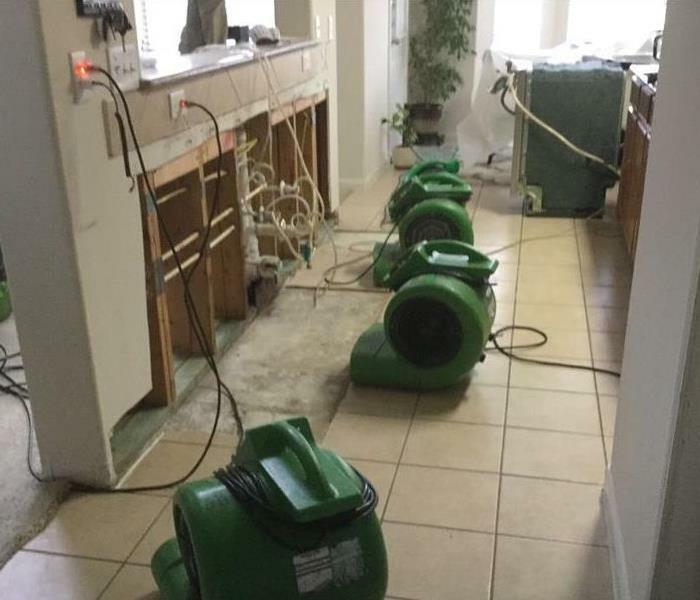 SERVPRO of Sugar Land's team came to the residents home immediately, brought equipment to do the job and dried the home. A few short days later the customer's home was back to normal! 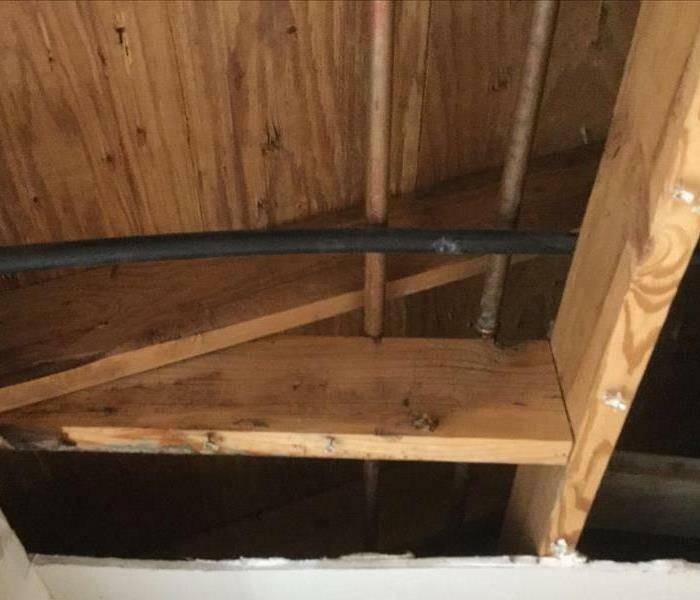 This customer that resides in Sugar Land, Texas experienced a pipe leak in their home. Our team came out to the home and put out equipment to help dry out the customers home. 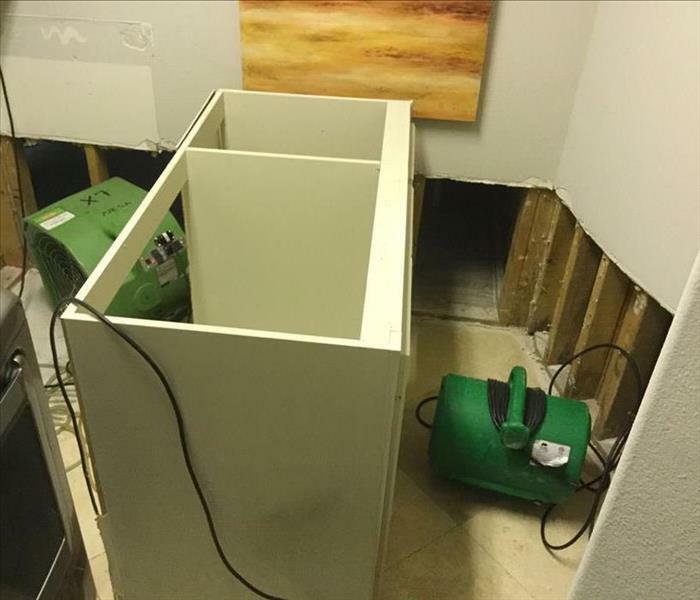 SERVPRO of Sugar Land was contacted after a sink water line had busted in a home out in Katy, Texas. Our team quickly responded and started the water removal and cleanup process so no further damages would occur. On this day, SERVPRO of Sugar Land is taking time to celebrate our very own team members birthday! Happy Birthday Ali, we hope you have a fantastic day! 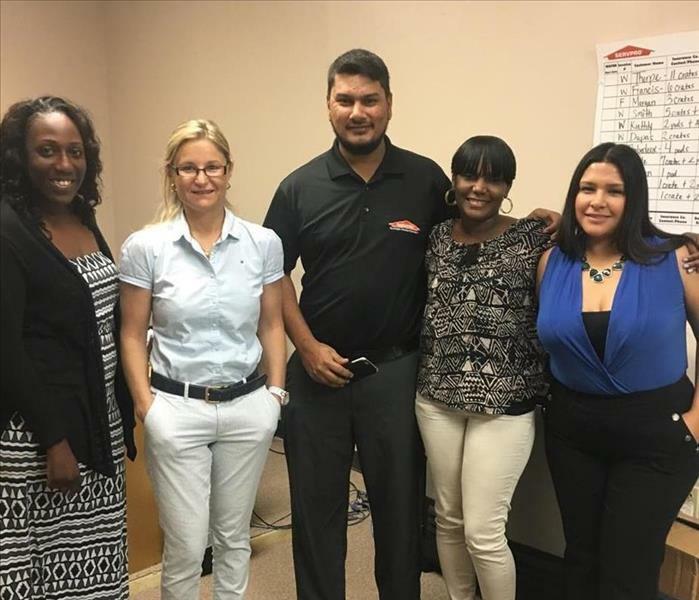 After a long year of hard work, we gathered the employees from our offices of SERVPRO of Sugar Land and SERVPRO of Victoria. Together, the companies celebrated a wonderful annual Christmas party at Berry Hill. Commercial water damage can cause serious destruction to a property. 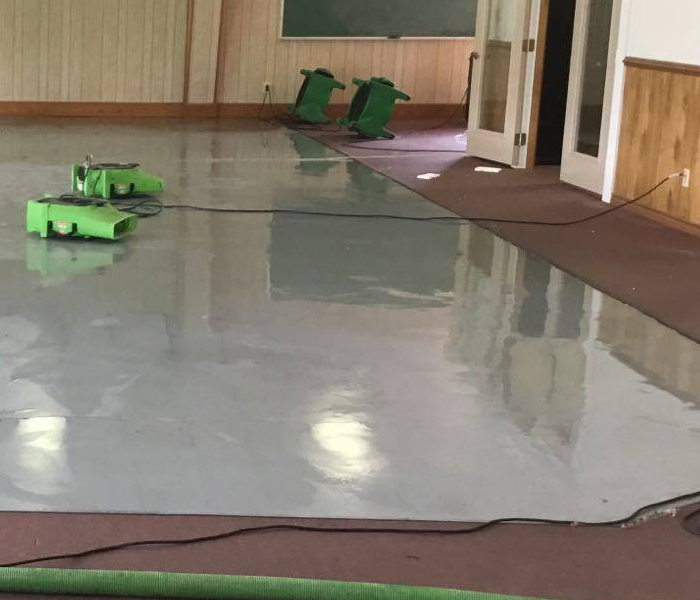 On Sunday morning of October 30th, SERVPRO of Sugar Land's team immediately responded to a commercial water job. Our crew was able to clean up the damage and help them resume back to operations again. 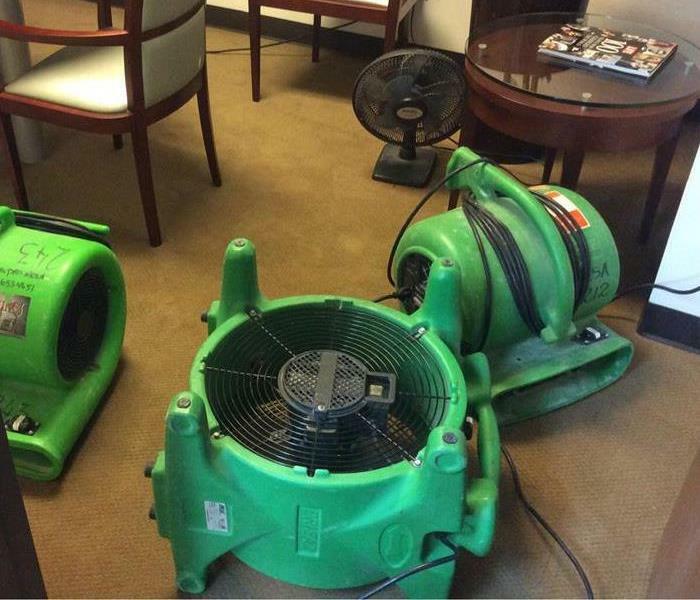 If your business suffers from a water damage, call SERVPRO of Sugar Land, (281) 313-1338. Making sure "Like it never even happened." Owner Mark Hart talks about new equipment at SERVPRO of Sugar Land during our Monday morning meetings. It is important to review with our employees to make sure we help our customers when disasters strikes. Making sure "Like it never even happened". 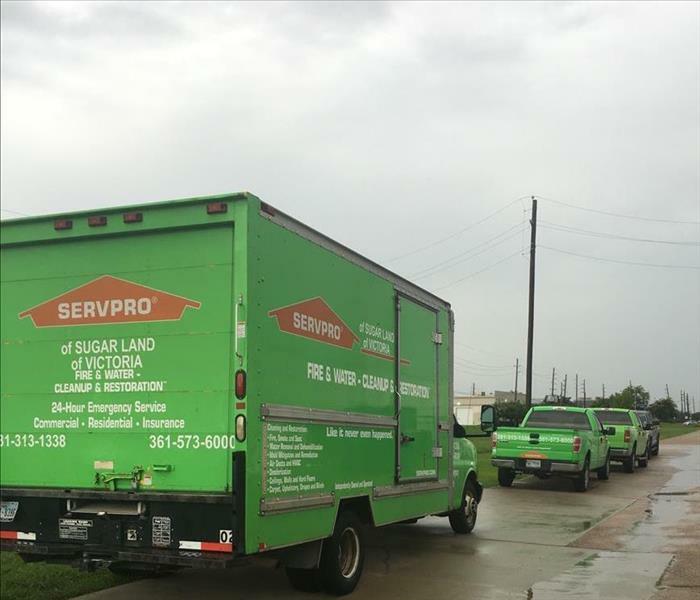 SERVPRO of Sugar Land fleets are always prepared for disaster to strike at anytime. We respond 24/7 to your water, fire, and mold damage clean up needs. Making sure "Like it never even happened". Our Storm Team has prepared and loaded up the trucks to hit the road and make a trip to Louisiana. 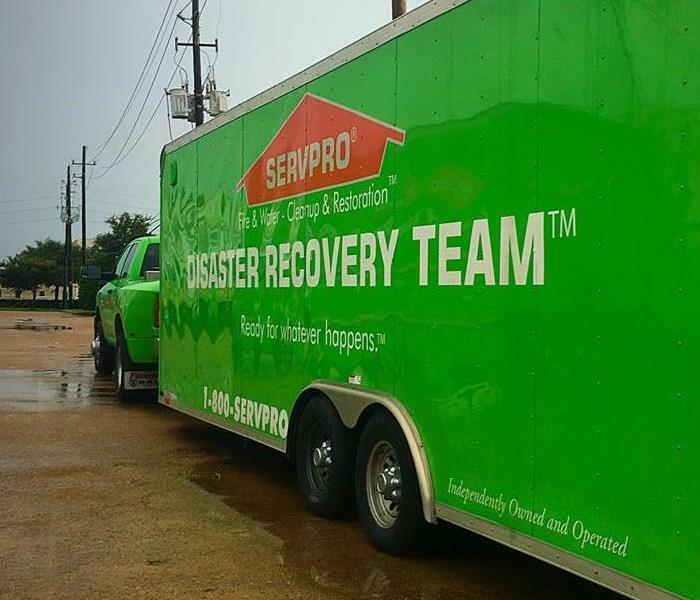 Our SERVPRO team will be there to help all the victims affected by the flood. After spending nearly two weeks helping victims recover from the devastating floods in Louisiana, our Storm Team has arrived home safely. We are happy to help those who were affected by the storm and putting their lives back in order.